...and to read the thought of the moment, peruse her offerings on FaceBook, and visit her pixel-sonic blog, Notes from the Kelp, and join Alex, and a lot of wildlife, on their rural island. Alex is the featured artist in Kyle Gann's wonderful American Composer series that appears in the May/June 2008 issue of Chamber Music magazine. 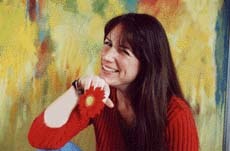 Read what Gann has to say about Alex's unusual background and appoach to her work. Greg Sandow is the author of an insightful blog on the future of classical music, and invited Alex to be a guest blogger in March 2013. Click here to see what she has to say on the subject of artists and the significance of social media. 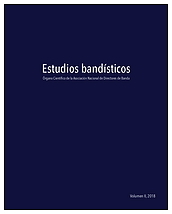 The second edition of Spain's wind band publication Estudios Bandisticos features a lengthy interview that Alex gave to Camila Fernández over breakfast in December 2017 at Lincoln Center in New York City. To read what Alex had to say in this wide-ranging conversation, click here. 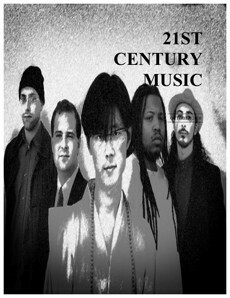 NewMusicBox is the online magazine and blog for the national advocacy organization New Music USA. It is also the publication for which Alex has written the most articles, and each is linked below. NewMusicBox's September 2018 posts include an article Alex wrote titled Dissing the Competition, that exposes the myriad problems with some pay-to-enter composer compeitions and lists many better ways emerging writers can spend their money. Alex's challenging thoughts on the new digital paradigm, the internet, free speech and the meaning of net neutrality to all artists, were published in three January 2010 essays for the online magazine NewMusicBox. NewMusicBox offers an excellent platform for debate between colleagues, and upon reading this essay in which author R. Andrew Lee proclaimed that art and entrepreneuship cannot coexist, Alex penned this response, published August 2014. Alex was asked to contribute her thoughts to NewMusicBox's April 2016 series about music and money, and delivered a piece titled Let's Make a List, that many college professors are already making required reading for their composition students. In it, Alex offers a detailed road map to point music-makers toward the many revenue streams that can be generated from their copyrights. All the Things You Are: Five Suggestions for Composing Your Happiness, was published November 2007. Here is the second part of Alex's writing for NewMusicBox about the significance of the internet for composers, and how they can use their web presence to create income. 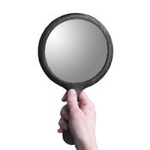 Making an Asset Out of Your eSelf, appears in the April 2008 issue. Upon her return from Denver, Alex summarizes her observations about the enormous National Performing Arts Convention in her June 2008 NewMusicBox article, The Impact of NPAC. Alex was asked to contribute her thoughts to the September 2003 issue of NewMusicBox, addressing the topic of musical monikers such as neo-romanticism. Read what she had to say about today's concert music, the meaningless terms that attempt to categorize it, and why there's never been a better time to be a composer, in her response to, Would You Describe Yourself as a Neo-Romantic? Why (Not)?. How do you take a relatively dull subject and make it bearable as well as informative? 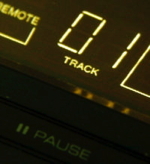 Find out when you read Alex's explanation of DBAs for composers in her October 2005 NewMusicBox article, DBA: Three Good Notes, Three Necessary Initials. On Molly Sheridan's creative blog Mind the Gap, Alex Shapiro was one a few invited new music web denizen to weigh in on the premises in the book The Whuffie Factor, by Tara Hunt. Alex opened the conversation with a post that codifies her thoughts on artists and the professional relationships they create with new social network technology: Selling Everything, 2.0--The Jig Goes Public, published July 2009. The following year, Molly Sheridan once again invited the blogizens back for a discussion titled Creative Rights & Artists, and Alex had a lot to say on the topic (as always!). That thread was published in July 2010. 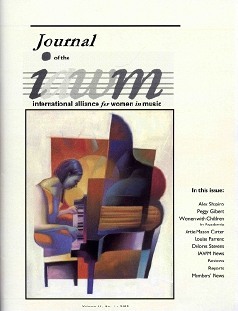 Alex openly discusses a broad range of topics in her ten-page autobiographical lead article, Compose, Communicate and Connect for the Journal of the International Alliance for Women in Music, Spring 2005 issue. 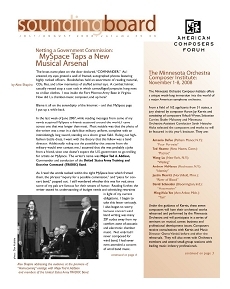 The article was reprinted with permission in two parts for the Autumn 2005 and Winter 2006 issues of the American Composers Forum magazine, Sounding Board. 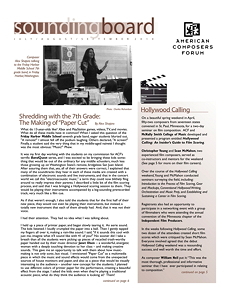 Alex's detailed description about composing a middle school electro-acoustic wind band piece for her BandQuest commission is the cover of the July/August 2010 issue of Sounding Board, the magazine of the American Composers Forum. Alex's feature article about composing a wind band piece for the U.S. Army is the cover of the July 2008 issue of Sounding Board, the magazine of the American Composers Forum. The twist to the story: the Commander found Alex on... MySpace! 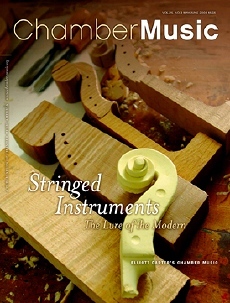 Musician and librarian Tom Moore interviewed Alex for an in-depth view of her life and work, in the October 2010 issue of 21st Century Music. Click below to read her thoughts on passion, motivation and how hitting the wrong notes while playing Beethoven might turn a kid into a composer. 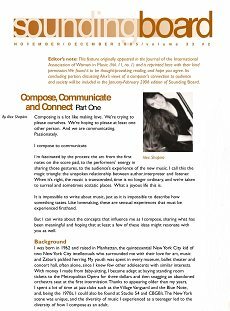 You can read the October 2011 interview Alex gave to the terrific organization, Composers & Schools in Concert, to get a sense of her enthusiasm about professional musicians working with young students. Alex Shapiro, Jerry Bowles, editor of the new music blog Sequenza 21, and Drew McManus, author of Adaptistration.com, gave a panel presentation about blogging at the January 2006 National Chamber Music America Conference in New York City. Here's the handout guide they created, to assist anyone launching a blog. Orchestra consultant Drew McManus invited several colleagues to share their ideas about bringing pals to the symphony for Take A Friend To Orchestra month. 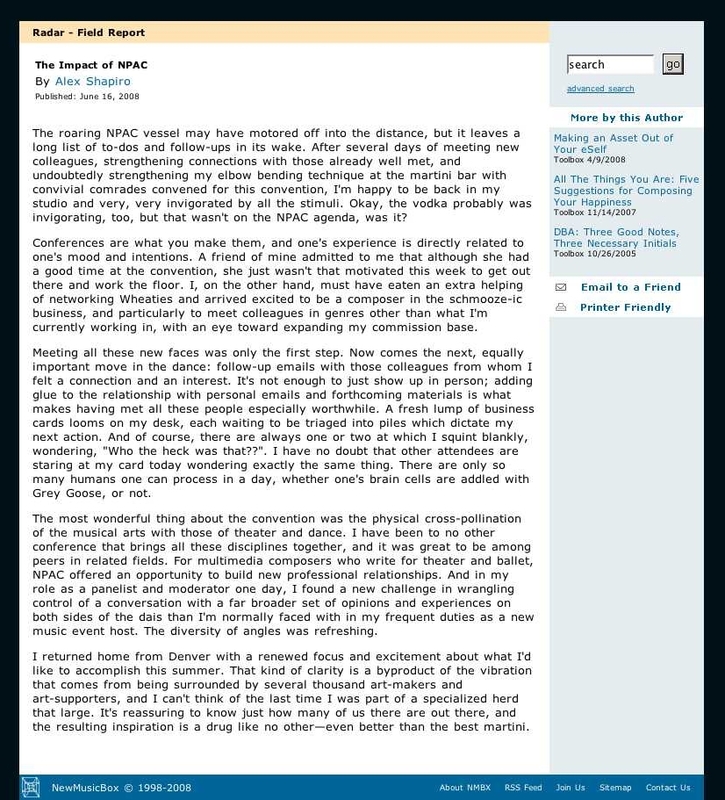 In Alex's April 2006 essay for McManus' well trodden blog, Adaptistration, absolutely nothing is sacred! Enjoy her unorthodox take on the subject, along with the subsequent comments and return volley she offered... fasten your seat belt. 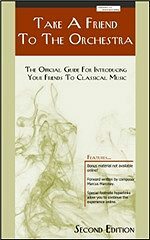 Alex's and many other TAFTO essays were made available in physical, bound form in the 2006 book, Take a Friend to the Orchestra, and can be enjoyed online by visiting this index. Alex has written an extensive two-part article on the subject of her clinic presentations on new media in the band world. 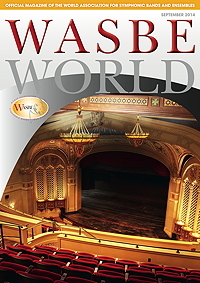 The essay, titled The e-Frontier: Music, Multimedia, Education, and Audiences in the Digital World, appears in the June and September 2014 issues of the magazine of the World Association for Symphonic Bands and Ensembles, WASBE World. 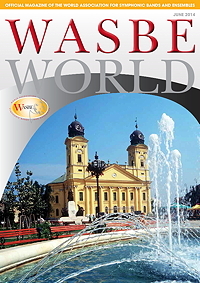 CLICK HERE to read the full pdf of the article, offered with the kind permission of WASBE. Here's a short Q & A that The Vegetarian Times did with Alex for their July 2008 magazine. No animals were harmed in the making of this interview. for the August 2002 issue of New Music Forum magazine about musical passion, musical business, and musical codependency. Read what Alex had to say about attracting audiences to new music, in her September 2008 essay for the Orcas Island newspaper Islands Sounder. Read Alex's chat on the networking website forum, My Auditions where she was the August 2006 featured guest. For many more video interviews, visit Alex's YouTube channel! Composer Ursula Mamlok remained dear friends with Alex since she was her teacher at Manhattan School of Music in the early '80s. When Ms. Mamlok arrived from Berlin to New York City June 2012 to attend a concert of her oboe concerto, a German crew working on a documentary titled Movements, about Mamlok's life and music, came along, and filmed a conversation between Ursula and Alex at MSM for the project. 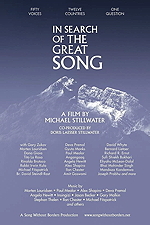 The film, directed by Anne Berrini, premiered in Berlin and New York in 2013, coinciding with Mamlok's 90th birthday celebration. A trailer for the documentary (and a few seconds of Alex at the start) can be found here. Since 2008, Alex has been an active member of the Advancement Board for University of Washington's renowned marine research facility, The Friday Harbor Laboratories. Here's an excerpt from a short video that the UW's College of the Environment came to Alex's home to shoot, in which she discusses the relationship between immersive learning in music, and in science. Alex really enjoyed talking with Mark J. Connor as a guest on his popular podcast, Everything Band. Covering everything from career to clarinet-playing gerbils (! ), it was a far-ranging chat! The link to the full 42 minute show, beginning with interviews with Carol Berthold, Dr. Courtney Snyder, Dr. Andrea Brown, Prof. Paula Crider, and Dr. Emily Threinen, is below, along with a link to Alex's 7 minute segment. Alex returned to Music Publishing Podcast to join co-hosts composer/vocalist Dennis Tobenski and mezzo-soprano Megan Ihnen for a lively discussion about the wide range of creative commissioning techniques available to performers and composers. Alex was interviewed by host and composer Anthony Lanman on his podcast series, 1 Track, for a conversation about her electroacoustic music. Juxtaposing two related works that share the same accompaniment track (BELOW, for contrabass flute, and BENEATH, for symphonic wind band), Alex A/B'ed identical sections of each piece, allowing the listening audience to experience the power of different orchestrations in eliciting different emotion. Alex was the inaugural guest for Dennis Tobenski's new series, Music Publishing Podcast. Despite some technical issues with a Hangout connection that apparently had Alex reaching for her snorkel, she and Dennis had an excellent conversation about the business of being a busy composer. You can stream it in the background while doing something mindless above the mean tide line! Composer and podcast series creator and host Garrett Hope came to Alex's home on San Juan Island on January 25, 2016, and they embarked on a very thorough and energetic conversation about the business and heart matters that define a music career. The duo covered so much ground that Garrett split it into two episodes. For those looking for very direct how-to information, as well as encouragement for their own composing lives, this interview may inspire you! Alex and conductor James Ripley were guests on The Morning Show with Gregory Berg on Wisconsin's public radio station WGTD-FM on May 9, 2014. They covered a lot of ground, and some ocean, too, as they delved into the making of Alex's newest electroacoustic band piece LIQUID COMPASS and the world of composing. The broadcast starts at 2:25 in, and continues for 45 minutes. Click the icon to enjoy an animated conversation! 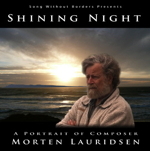 On July 9, 2012, Swedish Radio began streaming an interview hour that Alex shared with composer and conductor Victoria Bond, hosted by Birgitta Tollan. The interviews took place in New York City, and feature a balance of audio excerpts and conversation. Click at right to enjoy the show, which starts off with an excerpt from her wind symphony IMMERSION. Alex's portion begins 25 minutes in, and you'll be able to practice your Swedish, too! Alex was the in-studio guest on Marvin Rosen's radio show broadcast from Princeton University, Classical Discoveries. Want some backgorund sound while you're doing other things? Click at right, and hear the entire MP3 stream of their exceptionally wide-spanning, lively two-and-a-half hour conversation, including seven of Alex's diverse works. Here's what Marvin has to say about it on his blog, Marvin the Cat. Alex taped an animated interview in New York City with violinist and host John Clare, for his WITF-FM radio show Composing Thoughts which aired April 27, 2008. Enjoy the results from the combination of great questions, laughter and single malt scotch. Tune in to 25 minutes of fun! Tired of your first life? Well, the virtual world is a reality for musicians, and Music Academy Online is a big part of the growing trend. Alex discussed her musical life on the Second Life Cable Network television show, which you can watch here. It's worth having a look, just to see the dress they put Alex's avatar, Asha, in. On Martin Perlich's radio show The Audition Booth, Alex talks about the making of her CD, Notes from the Kelp. The live in-studio interview offers insights on many issues, including what's involved with producing an album this diverse in today's market. Hear Alex Shapiro's comments on several tracks from Notes from the Kelp, in response to questions from the producer of Behind the Beat, Steven Rosenfeld. 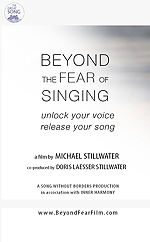 The interview is featured on the ASCAP Audio Portraits series. Alex's life and music were the subject of a one-hour radio show for a series called American MusicMakers with Theme and Variations host Will Everett. Airing on public radio stations all across the U.S., Alex's show kicked off the monthly series and featured excerpts of five of her recent chamber works and one in its entirety, along with a lengthy interview Will recorded during his walk with her on the beach at her Malibu home. The conversation covers a wide range of topics from the personal to the global, and wraps up in Alex's project studio with a spontaneous guitar performance, and one of her cats improvising on vocals at the end. Hear Alex Shapiro's live interview about composers and modern society, in Philip Blackburn's new podcast series for the American Composers Forum, Measure for Measure. Alex had a great time as the guest composer on Kalvos & Damian's New Music Bazaar radio show, broadcast live from beautiful Vermont, with local composer pal Laura Koplewitz along for the ride as a co-interviewer. It's always dangerous when someone who's known you since you were 16 has the mic. The two-hour show featured complete recordings of five of Alex's works, along with a lot of laughter and conversation covering everything from suggested composer hygiene to chocolate covered cricket clusters. Oh, and they talked about music, too! The hosts call it one of their funniest shows ever, and you can either stream the whole thing, or enjoy it in a condensed form (the five music selections are truncated here, thus shamelessly encouraging CD sales if you like what you hear). To hear the entire, fun-filled Kalvos & Damian show, click here!